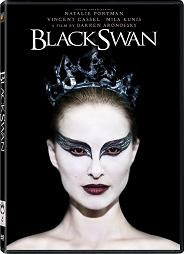 Following the release of Darren Aronofsky's Black Swan, a lot of detail interpretations have appeared. Some of them have been justified while others have been mainly fictitious. In this article we are going to comment a few of these speculations so it's likely that a couple of spoilers will be listed below although they will be avoided if possible. Let's start with the genre of Black Swan. It has been classified as drama, thriller, mystery. While it fully belongs in the category of drama, the other two classifications are not entirely correct. Usually a thriller is associated with a kind of a crime: a murder, a theft, etc. It's not a must but even if we consider Black Swan to be an exception, it's hard to say the movie thrills you in the common way thrillers do. It's probably more thrilling because it is a Darren Aronofsky's film and somehow you don't know what exactly to expect from a motion picture of his. Pretty much the same thoughts apply to the movie being a mystery. There is not really any great mystification explored in the film. Some people mention there are supernatural elements in Black Swan. Sure, a few events prompting at this direction happen but after seeing the movie's ending it is hard to believe anyone still supports this theory. Any physical and spiritual appearances of unnatural forces throughout the film appear to be just imaginary and a product of an unstable mind. Our main character, Nina (Natalie Portman), is the only one in the movie seeing or feeling such "unearthly" presence. The other important ballerina in Black Swan, Lily (Mila Kunis), is intended as a contrast of Nina. Yet we don't see anything evil in her as many viewers claim. All bad we see in Lily is again only through the eyes of Nina thus it is a result of her imagination. Lily is open-minded, easy-going, playful, seductive and men like her but there is nothing evil in all of these. Even the symbolism of colors in the movie hints at Lily's character being good. If you watch carefully you'll notice that the last time we see her (the moment of final truth unveiling), she's dressed in white. There are plenty of speculations that Erica (Barbara Hershey), Nina's mother, abuses sexually her daughter. But in Black Swan we see almost nothing proving this theory. The main argument coming from the supporters of sexual abuse presence in the film is that one night we hear a line "Are you ready for me?" coming from Erica. Well, it's true, but it could mean anything. Maybe, it's intentionally there to bring some portion of uncertainty in the audience about the mother-daughter relationship. Still, it does not prove the sexual abuse hypothesis. The line itself could just mean whether the girl is ready for bed so her mother can turn the lights off or kiss her daughter good night, or close the door, or whatever. We see throughout the movie that Erica still treats Nina as a little child so everything mentioned is completely feasible. Finally, Nina's mental problems are viewed by some as a journey to her dark side and they consider Nina becoming evil in order to successfully perform the role of the Black Swan. But again, we do not see Nina accomplishing anything bad in the movie, except for physically damaging herself in moments of madness. We see her occasionally behaving not very kind with her mother or Lily but there is nothing evil in her manners and they are obviously a consequence of her mental state. And if we refer to the color symbolism once more, at the end Nina is dressed in white. Practically, we don't see any real-life black swan portrayed in the film. But even without it, the amount of obsession and self-destructiveness flushing out of the movie strikes us with full force. Explore our maze of reviews to read more movie articles.